Avventure Bellissime | Review: “Our vacation was fantastic!" Client Testimonial: “Our vacation was fantastic!" This past May (2013), Eric Martin of Clifton Royal, New Brunswick, came to Italy on an Avventure Bellissime custom Italy Vacation Package. Upon his return to Canada, he took the time to share some feedback with Aleksandra, a member of our expert Italy travel sales team. We couldn’t be more grateful to him for his time and kind sentiments, and are thrilled that he so enjoyed his time with us. (It is, after all, our unwavering mission to provide visitors with the very best Italy vacation experiences.) As such, we’ve decided to share (with Eric’s permission) this passage he wrote about his Italy trip. Thanks Eric! “Our vacation was fantastic! The hotels, the transfers, and the guided tours were all first class…The tour guides [Avventure Bellissime] uses are some of the best in the business. 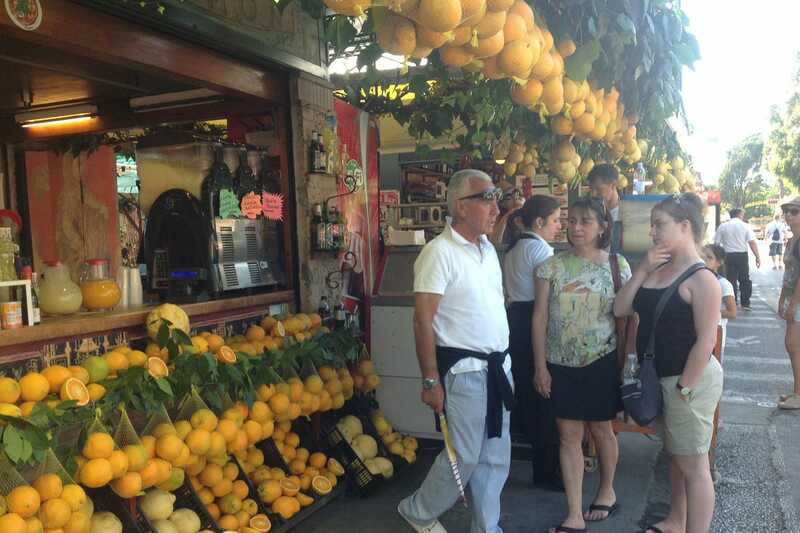 “We were especially impressed with the Ancient Rome tour on (sic) April, hosted by Francesca. Her knowledge of and presentation of the subject were fantastic. Also, her recommendation for a quick lunch near the Vatican was very much appreciated. 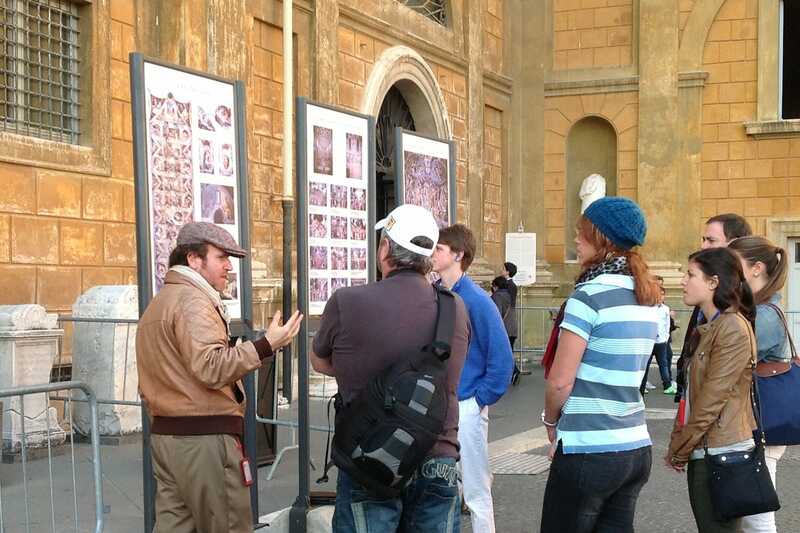 “Luca was also a very good guide for our tour of the Vatican. As with Francesca, he recommended a nice little place for wine and snacks after the tour. Again, very much appreciated. 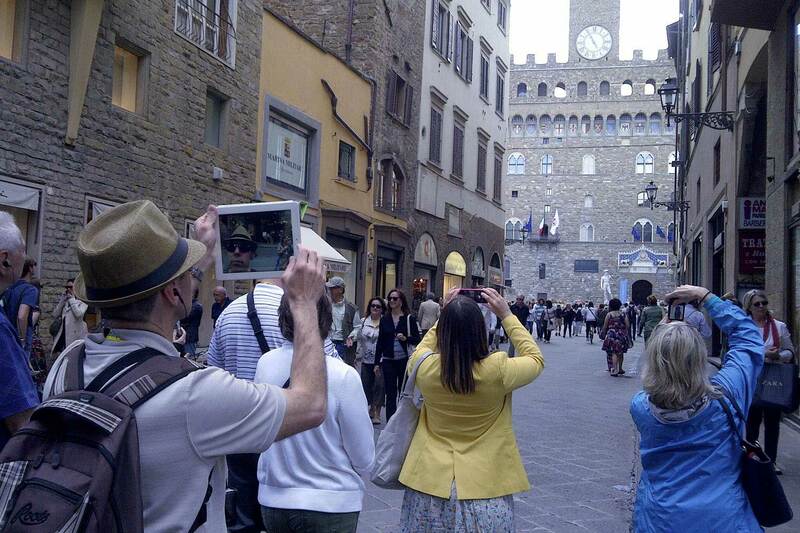 “For both of the tours we took in Florence on May 2nd (walking tour of Florence and the Uffizi), Antonia was our guide. She has a very engaging personality and her enthusiasm for the history of Florence is infectious. Vincenzo was also a very good guide for our private tour of Pompeii. Very nice gentleman. “For the transfers, Alexander in Rome stands out for his attention to detail. He went above and beyond on each of the 3 occasions we met. We very much appreciated his assistance. Without being asked, he walked us through the train station on our first train transfer of this vacation, instructing us how to read the schedules and when to check for our platform number. He then walked us into the waiting lounge. “On our last transfer to the airport for our trip home, he walked us right to our airline’s check-in counter. A real gentleman at all times, always making sure to carry my wife’s luggage, and also offering to take mine as well. “Also deserving mention is Vincenzo, who provided our private car transfer to Sienna with a stop in Montalcino on April 28th. He provided some interesting historical information on the areas we passed through. His lunch recommendation in Montalcino was very good and he also directed us to a choir group holding practice after lunch. As luck would have it, one of the songs the choir performed was also the song we danced our first dance to at our wedding 25 years ago. It moved my wife to tears and was a very special moment for both of us. Thank you Vincenzo. “We are so happy you recommended we spend a couple of nights in Sienna. It was one of our favorite places and is certain to be one that we will visit again. “The hotels were all very nice and very good value. We liked the Palazzo Ravizza in Sienna for its garden and overall atmosphere. Our room at the Hotel Minerva in Sorrento had a stunning view of the bay of Naples and Sorrento. The Hotel L’Orologio in Florence was in an excellent location, as was the Hotel Saturnia in Venice. We had one of our most enjoyable meals in La Caravella restaurant at the Saturnia. From start to finish, there is nothing I could think of to improve the whole meal – preparation, presentation, taste, and service were superb. “The Hotel Capo d’Africa in Rome was also in a good location and had an excellent breakfast buffet. The staff working the breakfast room at the Capo d’Africa stand out for their excellent service and very friendly manner. “Overall, this was a very enjoyable vacation. Your company met or exceeded all of our expectations. We felt very secure in knowing that your staff were there to assist us if ever we needed them. The one occasion I remember requiring assistance was just prior to our tour of the Ufizzi. We had trouble finding the designated door to meet our guide and were a couple of minutes late. In less than 5 minutes from the scheduled start time of the tour someone from your office called me and directed us to our waiting guide. Messages like this one from Eric always affirm why we do what we do here at Avventure Bellissime. Italy is a magical place and we want to make sure that we help visitors see all of the most popular places (as well as the best-kept secrets only the locals know about, like great hotels, fabulous restaurants, and top Italy travel tips and tricks). And we’re proud to learn that our expert Italy guides are going “above and beyond” at every turn. Are you ready to book your own Italy vacation? We can help. Our team of travel experts can help you to choose the package that best suits your needs, or create a custom holiday that combines a variety of our popular Italy day trips,small group Italy tours, Italy walking tours, and private Italian vacations. And we promise that no matter what your travelling style, we’ve got a trip or tour that will pique your interest and tickle your fancy! Take a walking tour of Florence and see Michelangelo & David, learn about the Renaissance, see Uffizi Museum, Medici, and more. 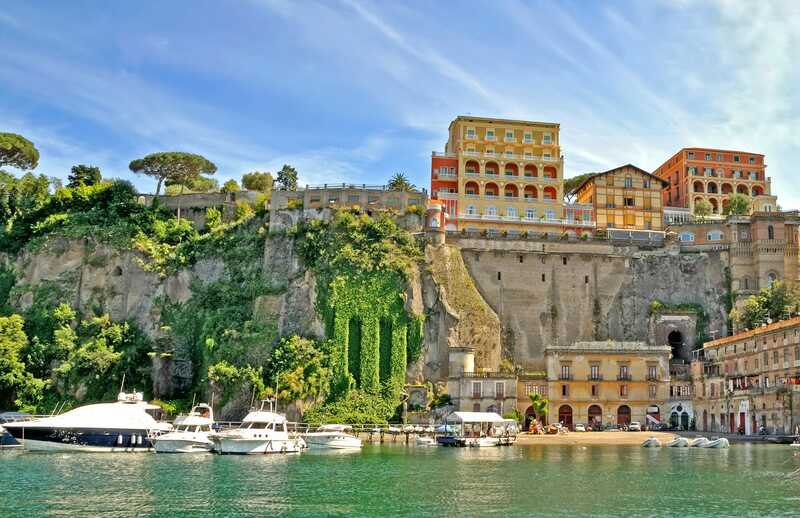 Cruise Italy’s stunning Amalfi Coast in style — with an expert English-speaking guide in a comfortable and private (air conditioned!) car. Partake of a Wine Tour of Tuscany, the “cradle of the artistic rebirth known as the Renaissance, where winemaking is more art than industry”. Very brave? Join us for a Rome Ghost Walk Walking Tour with one of our most popular guides, Luca, and see Rome at night! Call the Avventure Bellissime team now.